A group of Asian-American and Pacific Islander scholars are praising the Obama administration for trying to more fully integrate places and histories of AAPI significance into National Park Service initiatives, but they caution that because of long-running underrepresentation, the work has barely begun. As an example, among the National Historic Landmarks in the state of Hawaii, about a dozen have U.S. military significance, said Dr. Franklin Odo, a former professor of ethnic studies at the University of Hawaii at Manoa. Dr. Dawn Mabalon, associate professor of history at San Francisco State University, said she didn’t know anything about the Filipino-American history of her hometown of Stockton, Calif. until she was a University of California, Los Angeles undergraduate — despite the fact that Stockton had boasted the largest Filipino community in this country shortly after World War II. “It shows how absent we as Filipinos are from the American narrative that I had to go all the way to UCLA to learn about my people,” she said. The scholars’ remarks occurred last week at a Washington, D.C., forum examining how the legacy of Asian-Americans, Native Hawaiians and Pacific Islanders should be recognized, preserved and interpreted for future generations. Hosted by the U. S. Department of the Interior, scholars, historians and national leaders discussed how the National Park Service can appropriately and more comprehensively identify and understand AAPI heritage and culture within places and artifacts. 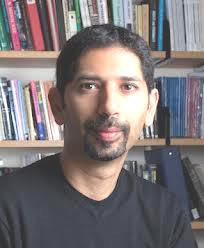 Dr. Pawan Dhingra, professor of sociology at Tufts University, noted how Asian-American culture “affects every dimension of our lives, so therefore, our culture is everywhere.” For example, about half of the motels in this country are owned by South-Asian Indian-Americans, he said. In fact, more Indian-operated motels are in the state of Florida than in all of India, he noted. Odo is chairman of an AAPI panel of scholars representing a cross-section of 48 ethnicities. That panel is working with the National Park Service on a new theme study that explores ways to consider and celebrate the stories of AAPI heritage. The theme study is part of President Barack Obama’s “America’s Great Outdoors” program to commemorate and tell a more inclusive story of Americans by reaching out to more women and minorities because their perspectives have not been well-recognized in the past. Co-hosted by the White House AAPI Initiative and the White House Office of Public Engagement, last week’s event brought together individuals representing historic preservation, the arts and government organizations. Like others in attendance, Robin Danner, president and CEO of the Council for Native Hawaiian Advancement, praised the unprecedented support and commitment by the administration but cautioned for the scholars and park service officials to remain culturally sensitive — and sensible. For instance, a four-block area of the historic Little Manila area of her hometown has a sewer running through the middle of it, she said. Still, such areas are crucial to preserve, “because they are living reminders that despite all the barriers, despite all the marginalization, a group of people decided to make this their home,” Mabalon said. Odo, who was also the founding director of the Smithsonian Institution’s Asian Pacific American program, echoed the observations about marginalization and discrimination. He pointed out how Congress has issued formal apologies in these areas only a handful of times — three of them involving AAPI communities: the overthrow of the kingdom of Hawaii, redress for the World War Two internment camps that incarcerated the Japanese and, most recently, an apology for legislation such as the 1882 Chinese Exclusion Act which banned entry to Chinese immigrants for six decades until its repeal. Also at the forum, federal officials gave examples of places that already have received official designations as historically important to this country, such as the remains of the internment camps at Manzanar and Tule Lake. And earlier this year, the Wing Luke Museum of the Asian Pacific American Experience in Seattle was named an “affiliated area” of the National Park Sytem, in recognition of the museum’s mission and national significance. “These stories are all important threads in the great American tapestry,” Interior Secretary Sally Jewell said. Rhea Suh, the interior’s assistant secretary for policy, management and budget, said that just as places of AAPI significance have been long underrepresented among National Historic Landmarks, people of such ethnicities weren’t considered viable candidates for careers in park and land management, either. The daughter of Korean immigrants, Suh grew up in Colorado and from a young age, gravitated toward work involving ecosystems and environmental justice. “I was often the only person of color and was told I didn’t look like someone who could ever have such a career,” she recalled. The discouragement merely fueled her determination, and she went on to work for charitable foundations on land management projects, such as managing an initiative to build ecological integrity and resilience in key lands and watersheds in western North America.